Good news heading into second round: John Forslund will call Hurricanes-Islanders for NBC. With Ed Olczyk and ex-Canes goalie Brian Boucher. My next two weeks are rough. I am in NC right now, missed Game 6 by 1 day. Glad I got to watch game 7 with my brother whom I went to the cup winner in 2006 with. I wont be back on Long Island till Monday and then I have to go travel for my job. I am supposed to be back from that next Friday. I will have to consider Barclays for Game 5. If this goes 7, I cannot go to that one. Anyway, what a series and what a game tonight. we all should be proud of this team and what they have done. Hopefully they get some good rest the next two days. I assume Rod wont make them skate Friday before the game after tonight. Just lots of video. 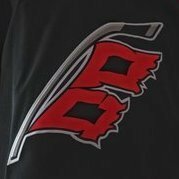 Shame on all of you that picked against the Canes. I loved Jordans goal. Very reminiscent of Eric's when he came barreling down the wing and put it over Brodeurs shoulder when it seemed like there was no hope back in 06. Yes. Friday, Sunday, Wednesday (H), Friday (H), Sunday, Tuesday (H), Wednesday. I’m very surprised games 6&7 are back to back. Guessing arena conflict somewhere in schedule. 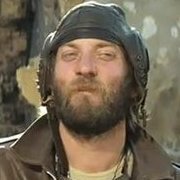 Guy I know told me the only thing that will be remembered from this series about the Hurricanes is that KO punch from Ovechkin, and that the Caps would win. I can't tell you how good it's going to feel to talk so much S*** to that guy. More playoff tailgating. Life is Good. I have to eat some deserved crow. I had given up on em with BD after that 3rd goal. But man THEY JUST DONT QUIT. What a team. Me and Mrs Feeder we're goin crazy over here. But quietly, little Feeder in bed. Do the Islanders play the Canes killing back up or their starter? Good...same as before, no problem.